For every organization, creating a brand and brand awareness for itself is a gigantic task and it needs people who have the niche expertise in the job. It is not possible for every business to bring brand consultants on board or it may happen that the escalating needs of a business’ brand development require people with more experience and a fresh perspective to race ahead in the ever-competitive marketplace. Branding firms come to the rescue of organizations in such a situation to handle the enormous task of creating a brand or revamping the brand strategy considering the vision and mission of the organization. Here are some reasons why companies shouldn’t do their own branding. Don’t understand the concept: Many people still associate branding with just the name, logo, and the tagline. However, the concept of brand development is much more than this and companies or organizations that don’t understand it need to acquire some knowledge on branding and shun the idea of doing it on their own. Corporate branding services professionals adept at this job will not let businesses waste their time, money, and resources on just the branding elements and will focus on the emotion that connects the customers with the product. Lack an outsider perspective: Companies work really hard to create a product or deliver a service, but cannot understand how others perceive their product or service. Unless and until a company gets to know and understand the people’s perception of a product or service, it cannot create an inspiring and effective branding. Scarcity of great brand managers: Everybody knows that branding is more of an art than a science and each situation is unique that requires different skill set or expertise. This creates a situation where the talented brand managers are willing to work only in branding development companies rather than working for different companies in different industries. So, it makes sense to outsource the branding job to third parties who are capable of doing it. A perfect brand strategy will make the job of the organization’s marketing department much easier and help in generating leads and converting the leads into deals. 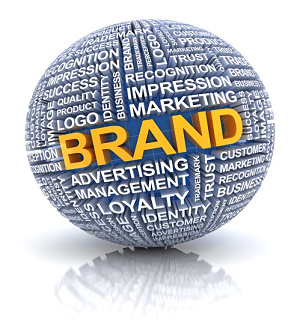 We at Accuprosys provide the perfect branding solutions to cater to the needs at various levels of brand development.